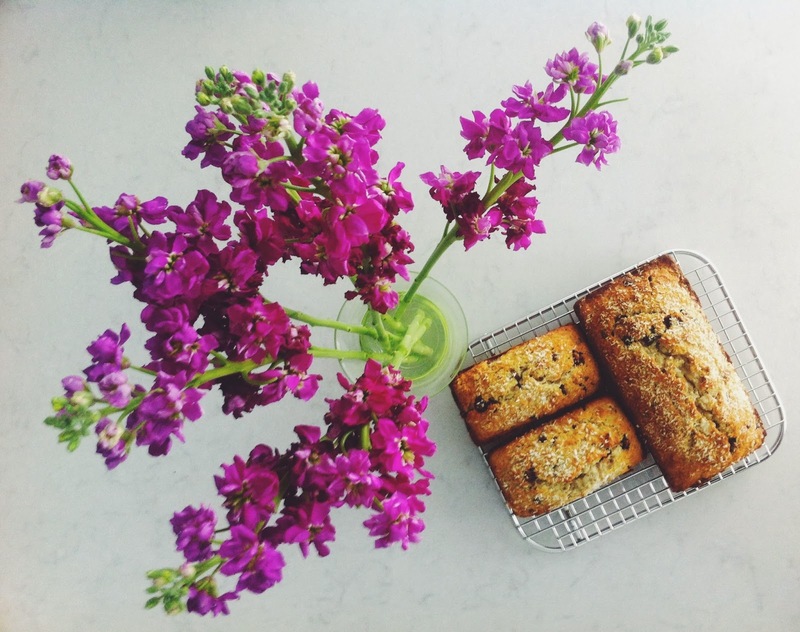 This banana bread will cure what ails you. With bourbon, chocolate, walnuts and coconut, how could it not? A snow day? No problem. To welcome new neighbors? Perfect. A broken foot? * All better. I recommend letting your bananas get verrrry rotten first. I promise it will make the bread that much better (and after eating a bite, your husband will apologize for threatening 100x to throw them away). 3. In mixing bowl, beat butter and sugar for 5 minutes, or until light and fluffy. 4. Add in eggs one at a time, whipping one minute after each addition. Scrape down bowl as needed. 5. Add bananas, lemon juice and bourbon. Beat until well-incorporated. 6. Add flour mixture all at once, and beat on low until almost incorporated. 7. Add in walnuts, coconut and chocolate, and mix on low (or stir) until just blended. 8. Spread in pan(s), sprinkle more coconut on top if you wish, and bake 30min - 1 hour, depending on your pan size. Remove when it looks finished, or when an inserted toothpick comes out clean. Cool for a few minutes, then invert on wire rack. 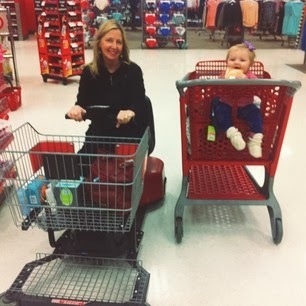 Here are my two favorite ladies riding around Target. We sure are thankful for baby seats and motorized carts!